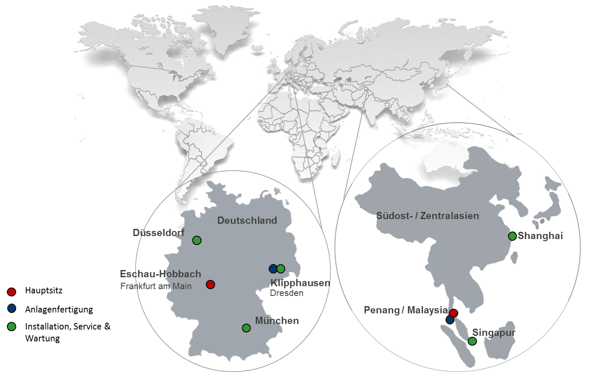 Working from our key areas of activity in Dresden, Munich and Penang, we operate across Germany, Asia and internationally for and with our customers.Based on rising demand abroad, one of our strategic aims is the expansion of our presence in international markets, offering contact persons and service internationally. FAETH Asia Pacific Sdn. Bhd.